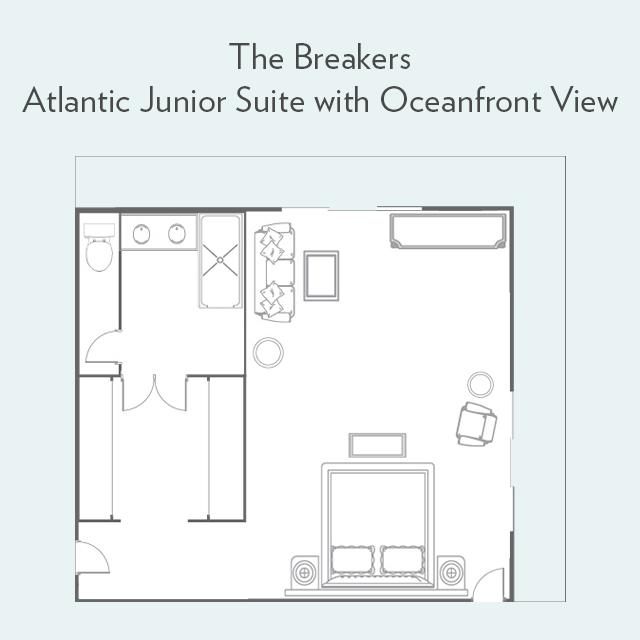 Enter the Atlantic Junior Suite: a sign that you’ve most certainly arrived. Perched over the resort’s private beach in the coveted South Tower, this unique corner layout features windows to the north and a private Juliet balcony to the east, making for a truly panoramic vista. 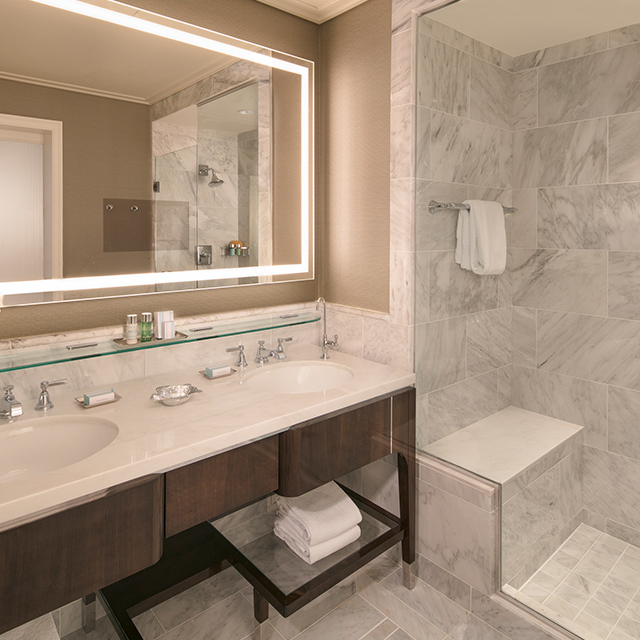 Revel in the space’s markedly modern floor plan—an abundance of open space, trimmed in vibrant Palm Beach décor and punctuated with a luxe bed, pull-out sofa and extra room to lounge.